Don't get me wrong; it's not that I think the Portuguese so lacking in imagination that they can't create fifty shades of grey. Nor am I going to write about a mini Portuguese version of E L James's best selling book. (I'm sorry if you are disappointed!) Instead I'm going to tell you about a grey product from Valongo - the very same place that the regueifa loaf comes from – and curiously it has a British connection. Can you tell what the picture is? The curved holes in the corners should give you a clue. I'm sure you guessed. 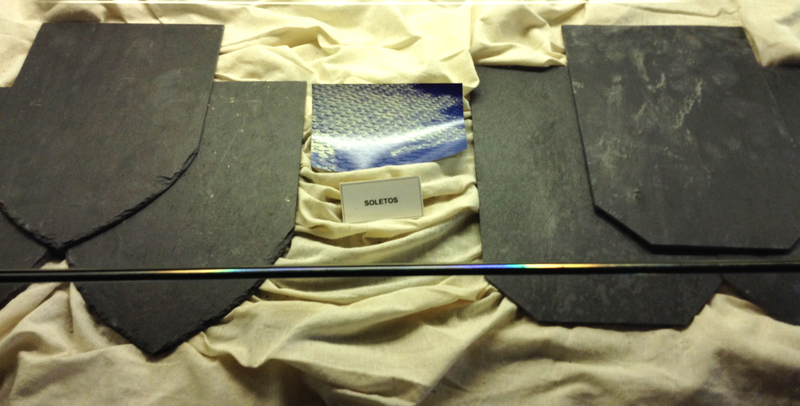 Those curved corners tell you that this is a huge slab of slate destined to become the base of a snooker or pool table. You would think that we already had plenty of slate in Britain, wouldn't you? After all there is Welsh and Cumbrian slate but it seems that in the past we thought we didn't have enough so when slate was found in a long seam in the Porto area, the British came along and set up slate mines. Once there were dozens of small, mainly underground, mines. Now things have changed. 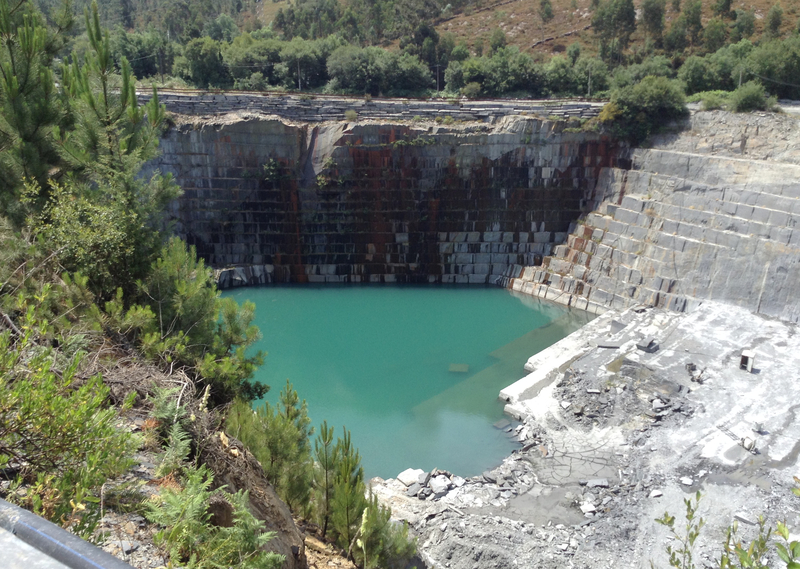 Just one open cast mine, which opened in 1865, remains but at least it is Portuguese owned. Our extremely welcoming and informative host from Valongo, Bruno, was kind enough to take us to see it and now you can see too. The extraction of blocks leaves terraces like a Roman theatre but in this arena water has gathered at the bottom. Most of the old traditional uses for slate – for example, roof tiles and children's school tablets on which they learned to write – are long gone. Of course I'm delighted that today's children have pencils, crayons, felt-tip pins and paper instead of slates but I mourn the passing of slate roofs. 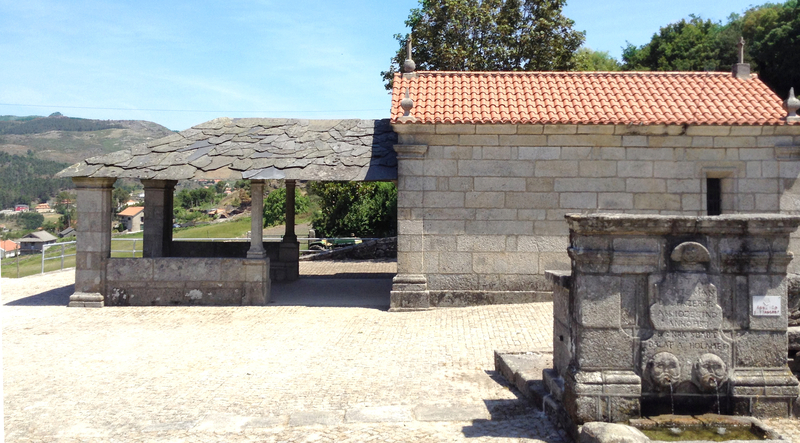 Below you can see the slate roofed porch to a terracotta tiled chapel in the Serra de Alvão. Which do you like best? To me the terracotta looks brash compared with the more sedate slate. All the same, when you read about the early days of mining it's a good thing that it's now over. The lives of those miners were carried out below ground, the days so long that they hardly saw the sun from one week's end to the next; the wages were miniscule; the living conditions were abject and the combination of living and working conditions led to appalling health problems such as emphysema from the all-pervasive slate dust. The similarity between the lives of our coal miners and the Portuguese slate miners is striking. Life was nasty, brutish and short. 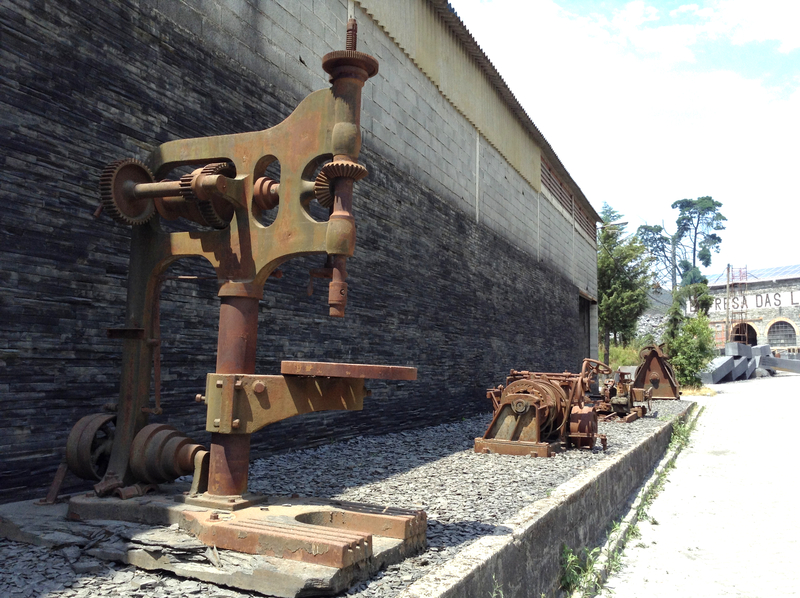 Most slate products were made in cottage industries but slate was also manufactured on an industrial scale as witnessed by the old machines on view at the modern slate factory. They make the work look hard and dangerous. 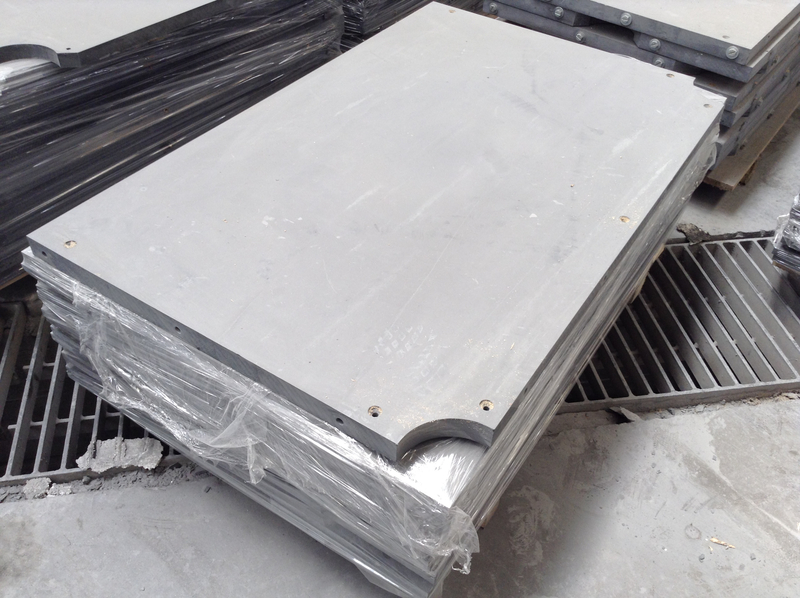 Today, however, men work the slate wearing masks and water douses the dust and stops the machines overheating. 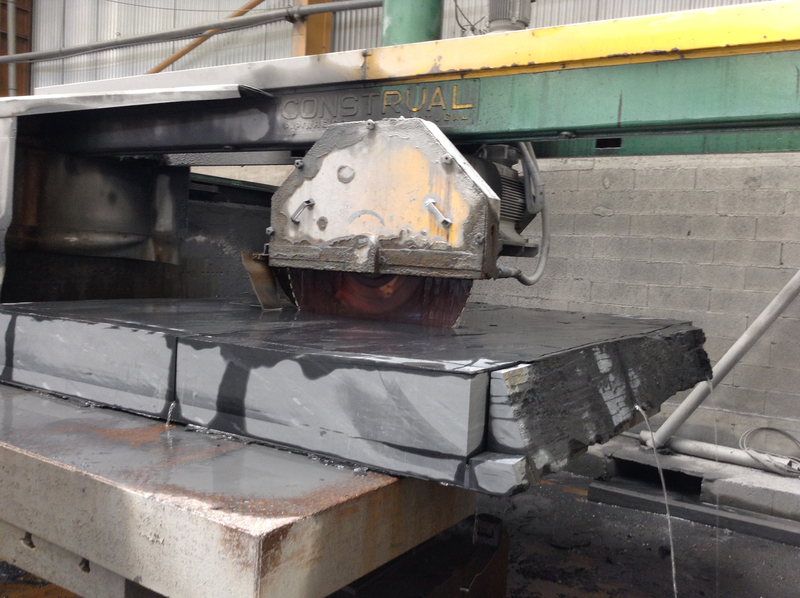 Health and safety laws have civilised the slate industry. Much of today's production will be sent overseas making it an important product for the Portuguese economy. 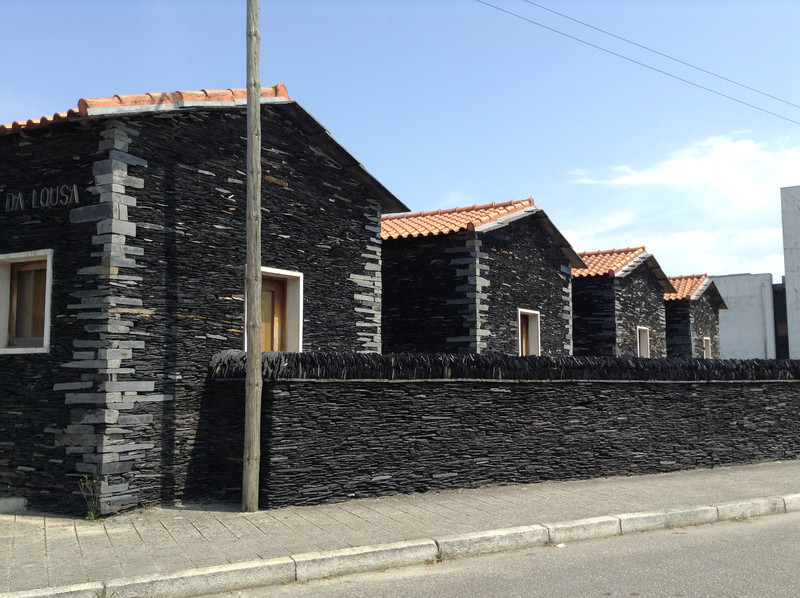 Indeed, life is so much better for slate workers now, that it would be easy to forget the privations of the past so Valongo's townsfolk have created a slate museum to keep the memory of their ancestors alive. Excellent though this is, somehow they seem to have sanitised it (just as we do with filmed stories such as Lark Rise to Candleford where so many of the villagers seem to be well fed and dressed in neat, clean frocks and pinafores!). The slate buildings which house the exhibits, are beautifully built with perfect corners and well laid lines of stone. It's hard to think that the early miners lived in clean and tidy houses such as these instead of tumbledown hovels with filthy interiors, sparsely furnished with inadequate utensils and bedding. If I criticise the neatness of the supposed accommodation of the early slate miners what I cannot criticise is Valongo's dedication to remembering its past and to educating its children. School parties come to the museum to learn about slate and they are given hands-on experience of working it with tools to make artefacts of their own design; birds, beasts and symbols of Portugal. In Britain we have created new uses for our slate; cheeseboards, place mats, coasters. I wonder if we shall soon see these in Portugal. After all, the Portuguese have found innovative ways of regenerating the cork industry. But that is a story for another day.